It’s almost game time! What are you going to make your football-loving guests? 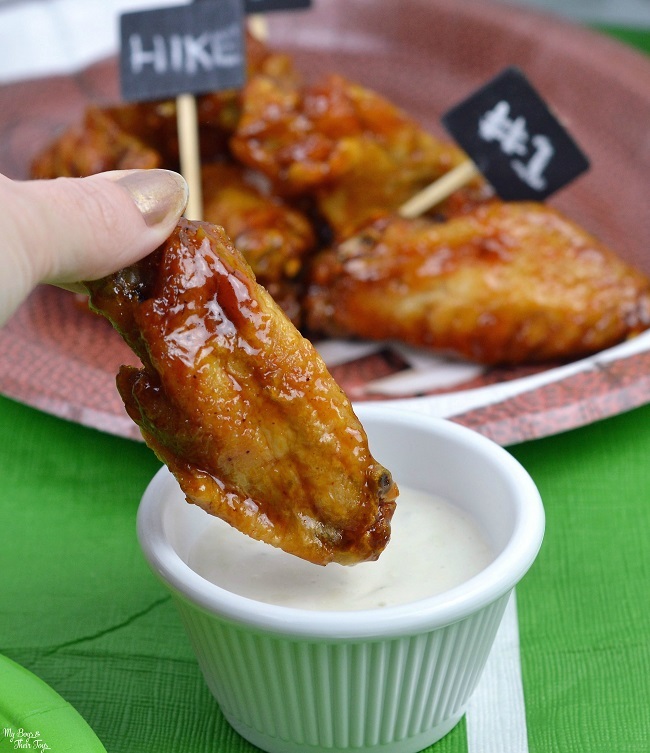 This easy bourbon chicken wings recipe is a huge hit in our house, and perfect for serving up during the big game. 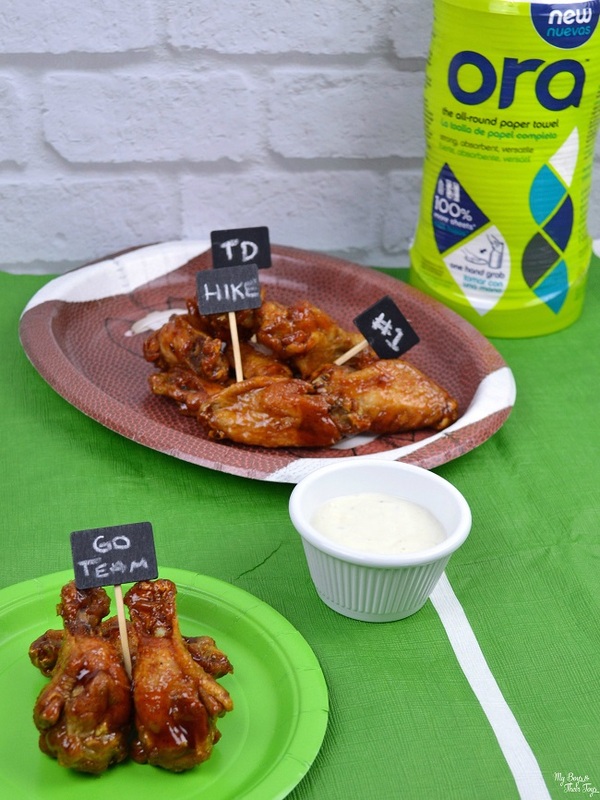 Print this delicious chicken wings recipe below, plus an easy solution to cleaning those messy fingers too! To make the bourbon wing sauce: Melt butter in a medium saucepan on medium heat. Add the bourbon whisky, brown sugar, tomato paste, onion and garlic powder, salt and pepper. Whisk to combine. Bring to a low simmer. Next, preheat oven to 350 degrees. Place chicken wings in a large bowl and pour 1/2 of the bourbon sauce over the wings. Leave the remaining wing sauce in the saucepan. Toss the wings to coat them well. Arrange the wings (with space between each wing) on a foil-lined baking pan that has a generous amount of cooking spray. Cooking the chicken wings: Bake at 350°F for 20 minutes, then turn the wings over and bake an additional 12-15 minutes, or until a nice rich brown color. While the wings are cooking, continue simmering the remaining sauce until thickened. When wings are done, transfer to a platter and brush wings with the remaining sauce. Serve with ranch and bleu cheese dressing. 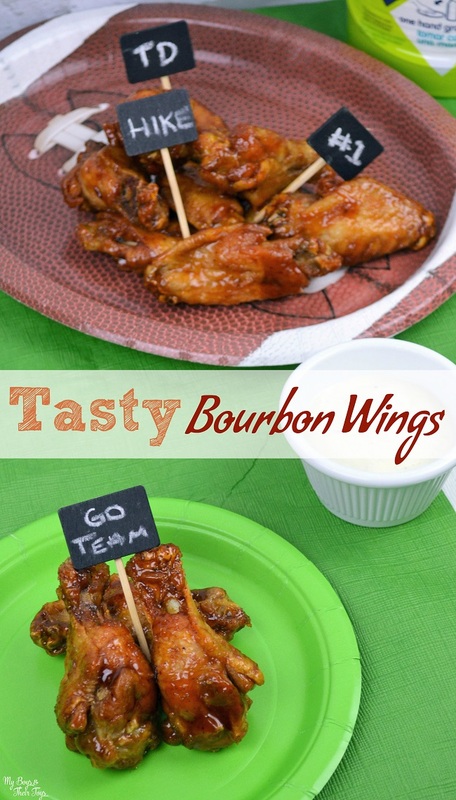 These game day bourbon chicken wings appetizers are finger-licking good! 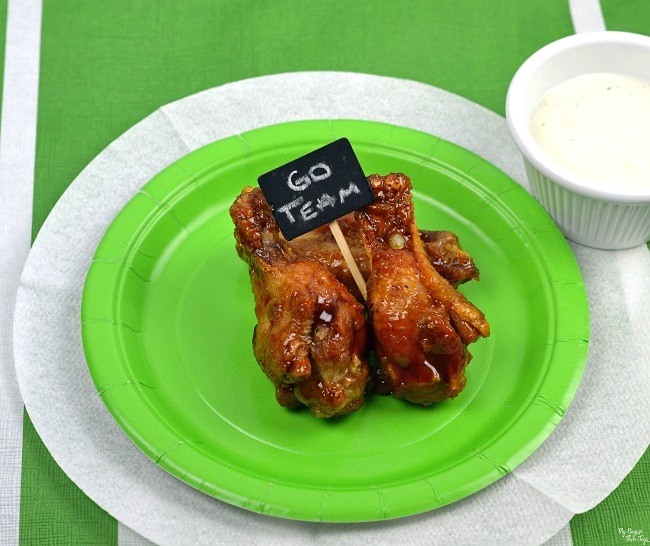 These game day appetizers are finger-licking good! Trust me, your guests will be asking for more, so consider making a double batch if you’re serving a lot of guests. This is a partnered post with Ora. All opinions are my own. Speaking of finger food, that means you’ll need a lot of paper towels on hand. Consider these first-ever all-round paper towels at Target stores and Target.com. 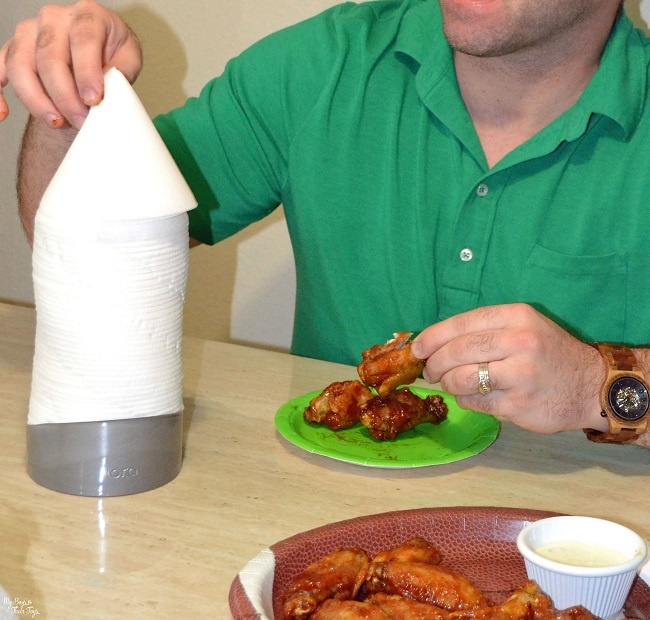 Wings can be messy, but Ora paper towels offer a no-fuss cleanup solution to sticky fingers! Ora paper towels are perfect for quick clean-up solutions, and because of the unique stacking system, you can grab a sheet with just one hand. 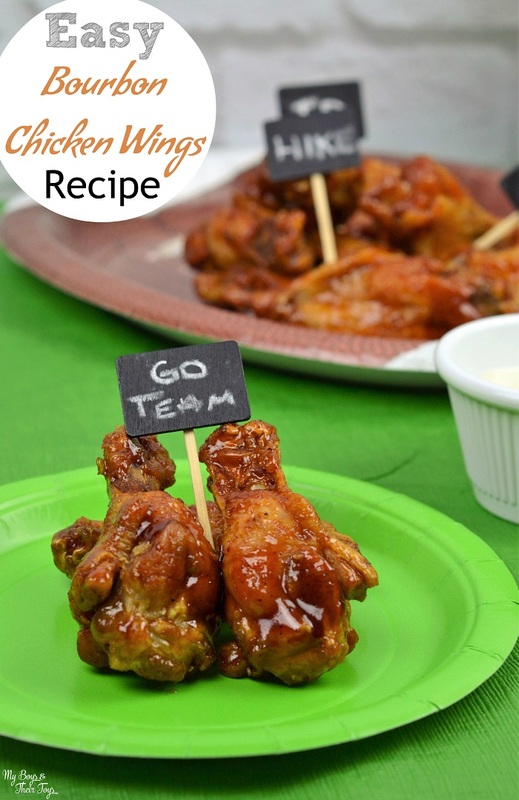 That means your guests don’t have to put down their favorite game day wings! The innovative stacked design provides twice the number of sheets compared to a traditional paper towel roll. Ora is eco-friendly, and a great value at just $2.99 for a single roll! 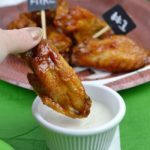 Make sure to come back and let me know what you think of this bourbon chicken wings recipe! These look so delicious and flavorful! hank you for sharing. This looks very delicious. We will have to try this out on our super bowl party. Yum!! These wings sound absolutely delicious! Definitely perfect for Game Day! 🙂 Thanks for sharing the recipe! This looks delicious and so easy to make! These chicken wings looks so delicious and easy to make for the big day. I love this recipe and I will have to try it out!! Oh bourbon chicken is one of my favorites when we go out to eat, but I have never tried making it at home! Oh I have to try this! This looks so delicious! very tempting. This looks like a unique recipe, I think it would be a hit with the spouse. Also, love the stacking paper towel idea, it would be great for messy meals like this! Those wings do sound great. I love foods like this; I suppose you would call them finger-foods. Love the flavors in these wings. That’s a neat paper towel. Yum! These look great for our football game day this Saturday! I can never get wings to come out right, but this looks very doable. I’ll try it! These look scrumptious, and a good amount of bourbon, they must be delish! I never made wings before, these are perfect for the holidays!